BlackBerry is launching a new business product for managing a hyper-connected workplace and securing IoT devices called Spark. 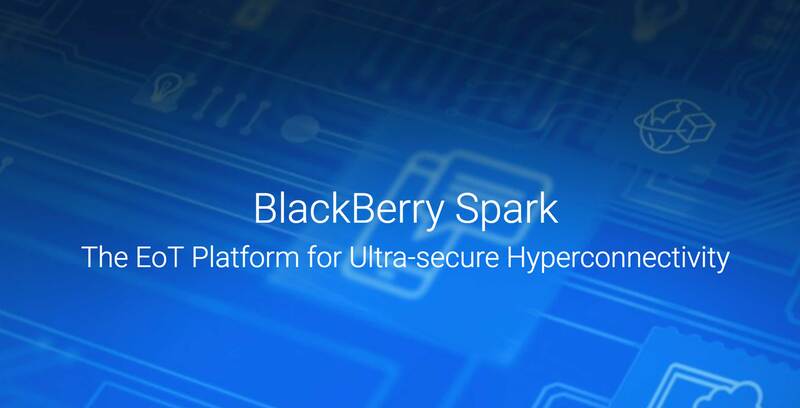 BlackBerry defines Spark as “the enterprise of things platform for ultra-secure hyper-connectivity.” To most people that doesn’t mean much, but its core is a security platform for the internet of things and a modern security option for businesses. The consumer-facing aspect of Spark is to add military-grade security to IoT products. This can range from machines as complex as autonomous cars and industrial equipment to consumer-friendly devices such as voice-activated speakers. Depending on the market, BlackBerry has a wide range of goals for Spark. For consumers, the product is to build trust between them and smart devices that can gather data. For businesses, the company hopes the platform can help manage AI and smart things through an easy to use multi-platform application. “Their Spark platform, designed to secure and manage IoT infrastructure, stands out because of this focus and their demonstrated ability to manage connected devices at enterprise and government scale,” said Rob Enderle, an analyst with the Enderle Group who was quoted in the BlackBerry Spark press release. The business end is where it appears BlackBerry has a few new products or apps for managing a modern business. It allows users to set up custom routines, manage connected devices, apply DRM to files, manage employee security clearance and more. BlackBerry uses a hospital as an example where Spark can modernize a workplace. When a patient is in critical condition, Spark sends elevators to the same floors as key staff members to streamline response time. On a smaller scale, it adds an extra layer of security to devices like Amazon’s Alexa so it can be trusted in workplaces with security clearances.